The founders of Kyäni share the vision that everyone has the ability to achieve whatever financial goals they set with a little hard work and diligence. We believe that with focus and diligent effort, our team members can experience the goals that they set for themselves!. With Kyäni everyone has the opportunity to make a difference and earn a living that facilitates the lifestyle they desire. The Kyäni business opportunity enables normal people to leverage their efforts through multiple distribution channels also referred to as multi-level marketing (MLM) or network marketing. 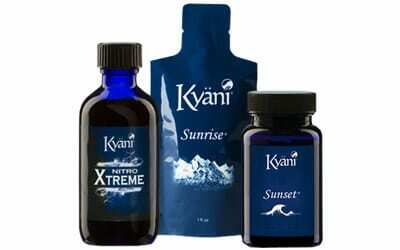 Kyäni only produces high quality products that transform peoples lives. Why the Kyäni Opportunity works for everyone: leverage. Leverage is the process of multiplying gains. As you build a larger distribution channel beneath you, your leverage grows, as your leverage grows, so does your income! This is why our leaders are so eager to help their downline. As their downline distributor gains more leverage, so do they! Believe it or not, products are part of the compensation plan. Mediocre products need to be pushed through the marketplace. When this happens distributors must constantly sell, sell, sell. Kyäni’s high impact products pull in the marketplace. This occurs when products produce results and create demand. Demand creates momentum and money always follows momentum. More and more people are looking at home-based business opportunities for financial relief and freedom than ever before. Finding the right company to partner with makes the world of difference. The right company will save you time, effort, and money while providing you with everything you need to not only survive, but thrive. Kyäni understands today’s global economy and the need for financial diversity. That’s why we created a financial opportunity built for today’s troubled economy and a proven business platform to help you succeed. Financial Stability: Kyäni is backed by sound businessmen who have the resources and will to drive Kyäni. Corporate Leadership: The executive team at Kyäni is driven to provide distributors with the tools, platforms, and strategies to help grow your business. 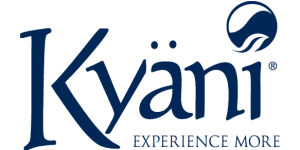 Timing: Kyäni is a relatively young company, providing a ground floor opportunity. We are in over 20 markets worldwide, and are continuing to grow. High Impact products that speak for themselves. The Kyäni PayGate: A highly lucrative, very stable compensation plan.